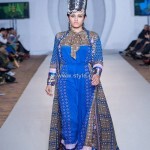 Lala was also among the brands and designers, who participated in PFW 3, London. 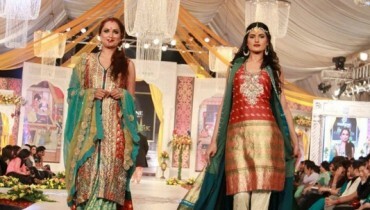 Lala winter collection 2012-13 was showcased at the event. 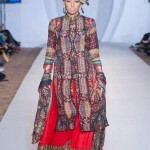 The stylish dresses showcased at PFW 3, London were from Lala pashmina collection 2012-13 specifically. 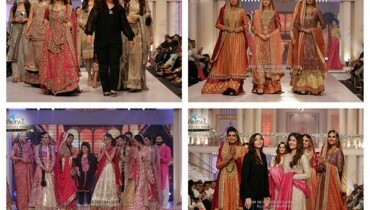 The outfits of Lala winter collection 2012-13 showcased at this event were all embroidered and elegant. These outfits also looked quite stylish and classy. They were also very colorful as bright colors were used on them. 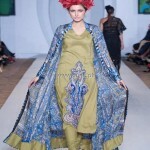 Lala winter collection 2012-13 was such that it mesmerized many women. All the outfits were great for casual and evening wear both. Lala is one of the leading textile companies in Pakistan. It offers various textiles for women. It is quite experienced in this field as it has been around for many decades. It has released various collections in 2012 alone. Included among these are Kesa lawn, Magnifique collection, La Femme summer collection, Vintage collection, Brocade collection, Celebre, Sana and Samia sensuous and so on. The brand is quite popular because it offers good quality fabric with stylish designs at affordable prices. The brand’s fabrics are available through fabric stores around the nation. 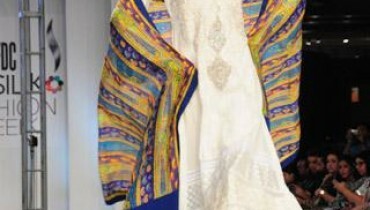 PFW is a perfect platform for international exposure of Pakistani brands and designers. It was held earlier in 2012. 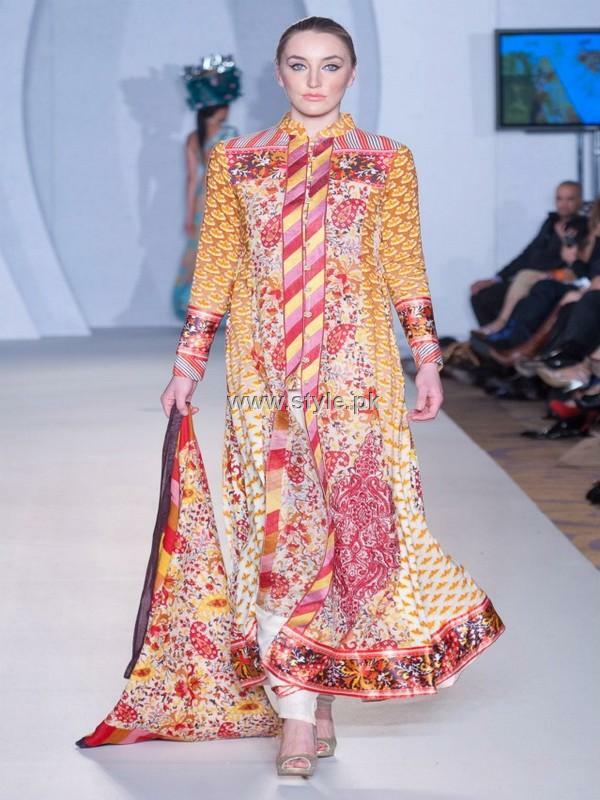 PFW 3 is the third season of Pakistan Fashion Week in UK/London. 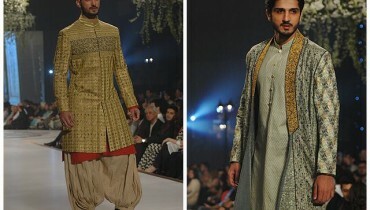 Many famous Pakistani designers have participated in this even.